Sethruaman is an Asian Gradmaster and former Asian Champion. He was a member of the bronze winning Olympiad team in 2014, gold winning team at the Asian Nations Cup, 2016, and silver medal team at the Asain Nations Cup in 2014 and 2018. 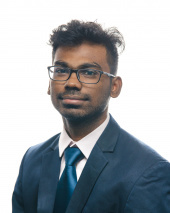 Sethuraman has also placed at several other major tournaments including runner-up in the Aeroflot International Open in Moscow, Russia 2018; third place at the Dubai International chess Open, 2018; Fourth place at Gibraltar International Event, 2018; joint winner of the Sharjah International Open 2017; and second place at BRICS Masters, China.